Chicken is probably the most versatile of all the meats commonly served. You can make any amount of different dishes out of one chicken once it's cooked. They're great for leftover meals, making it extremely economical. I love a roasted chicken served with sage and onion stuffing, roasted vegetables and gravy. The second day, I like to make a curry or pie, then the stripped off pieces I use in enchiladas, chilli con pollo or a pasta dish and the carcass will make a soup or stew with loads of vegetables. 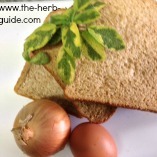 This is my favourite sage and onion stuffing recipe. 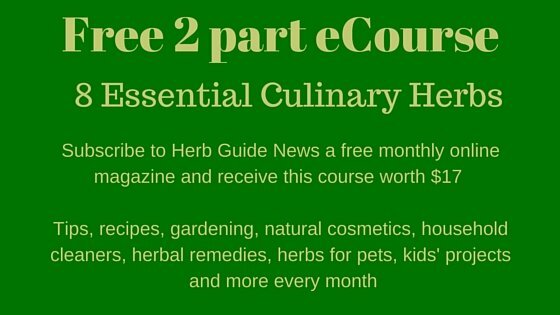 You can make it with fresh or dried sage. I have been making this for the last forty years and would rather do without stuffing than have a packet again. Click on the photo for step by step photo instructions. 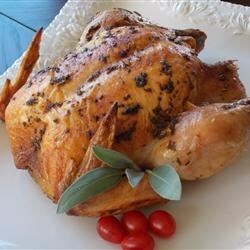 This lovely simple roasted Lemon Balm Chicken is quick and easy to put together - it combines the lemon balm with sage. 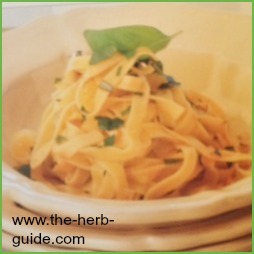 The recipe calls for fresh, but you can easily substitute dried and still get an excellent result. Use about one tablespoon of each as an equivalent. Shake some dried herb inside the cavity as well. The recipe is from AllRecipes.com and is four to five star rated - excellent! Wow! 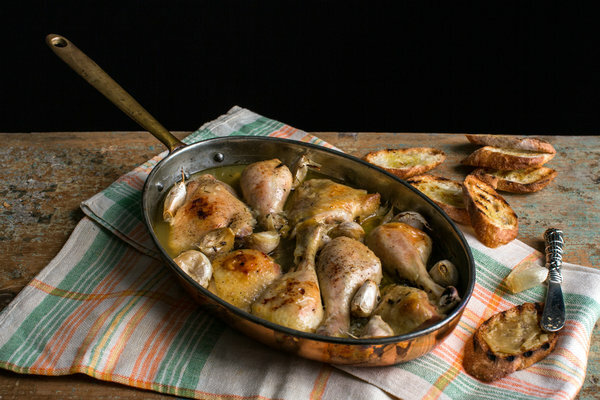 This Rosemary Chicken recipe is cooked in a Dutch Oven over coals - it's awesome! If you're not wanting to cook in the great outdoors, then you can easily cook it in a medium oven for two hours or so, until the chicken is cooked through and the vegetables tender. Just to show how versatile chicken is, this Garlic Chicken Pasta dish can be whipped up in the time it takes the pasta to cook. Use some leftover chicken - half a cup will be plenty - and you've got a tasty, quick and economical dish on the table in less time that it takes a takeaway delivery. Click on the photo. 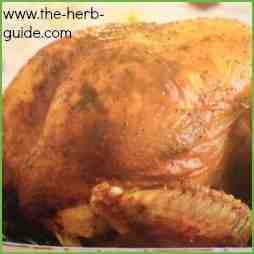 Another Chicken with Garlic recipe - the famous 'Chicken with 40 Cloves of Garlic'. You serve the cloves whole in their skins and the idea is to squeeze the cooked garlic onto toasted french bread and spread it like butter. This recipe is from the cooking section of the NY Times and has five star ratings. The reviews are excellent with some really useful tips. For instance, brown the portions before assembling otherwise the skin looks a bit anaemic; use a whole chicken and joint it; skin the chicken first if fat is a problem for you. Brilliant recipe and super helpful tips from people who've tried it - many of them more than once! Another easy roasted chicken recipe, this time with Basil. I have demonstrated with step by step photos how to get the herby butter under the skin of the chicken. It's a super simple meal to serve when the weather's hot - just set it to cook and leave it. Serve with some baked potatoes which you can pop in the oven at the same time and some coleslaw. This video shows you how to make a very quick to assemble Greek Chicken - authentic greek flavors of oregano and lemon. The orzo is a tiny pasta that looks like rice. It is possible to put this into the casserole dish underneath the chicken pieces and cook it at the same time. You would need to watch out for it going dry, maybe add a little more liquid at the beginning, but the tastes would mingle and it would be truly spectacular. Thyme, Lemon and Chicken from LoveofCooking.net. 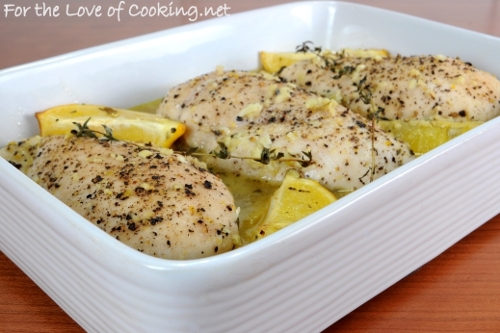 Succulent chicken breasts baked in the oven make an easy midweek meal. Assemble this and get on with something else. Serve with some crusty bread, new or baked potatoes and you've got a very easy meal which will become a firm favorite. Chicken with Tomato and Marjoram. This is quite a long list of ingredients, but the results are really worthwhile. It's a typical Italian method of cooking chicken pieces. You need to brown the chicken, then fry off the onion, garlic, mushrooms, celery and bell pepper. Add potatoes, tomatoes and herbs. Let it all simmer and then finally add in some black and green olives. The finished dish has a load of sauce that is just right for dipping fresh crusty bread into. It's a simple stove top cooked one pot meal and I would say that the list of ingredients is fairly flexible, not needing to be too rigid. Use it as a guide to create your own masterpiece. 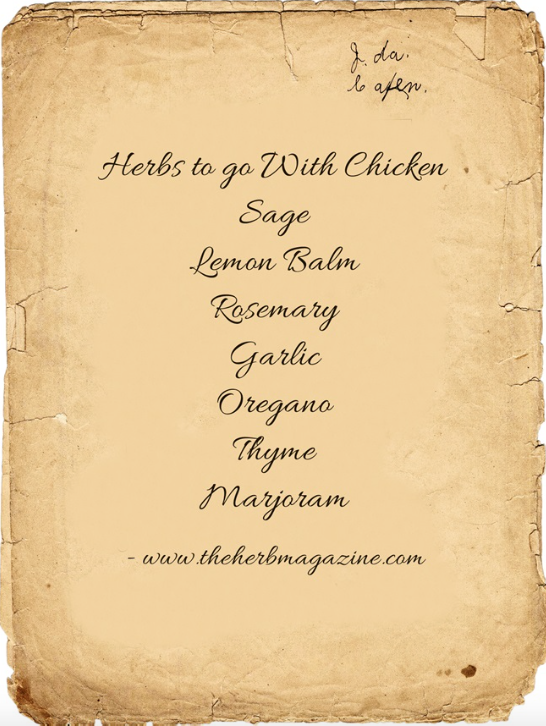 There's a very handy tip for keeping leftover fresh herbs in the refrigerator too.